We invite YOU to create a piece of art inspired by the work of these talented kids. Our exhibit will display these works by students and local artists side-by-side through the month of May. The opening will be on Art Walk Friday, May 3rd from 6-10pm. 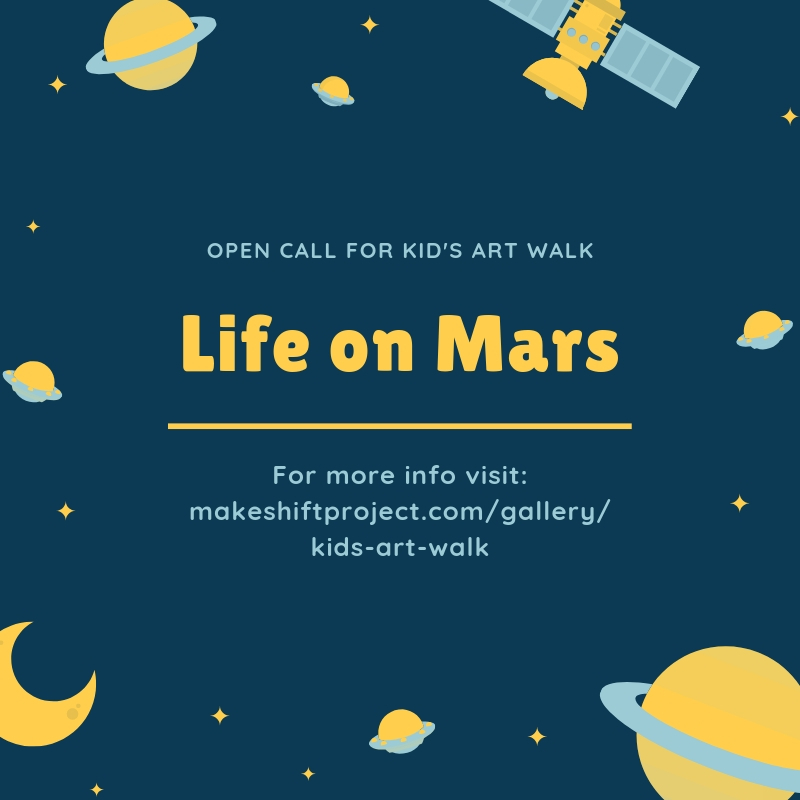 Email gallery@makeshiftproject.com to receive a digital packet with your assignment. You may also sign up at First Friday Art Walk. Starting NOW, you can stop by Make.Shift to sign up and pick up an assignment packet. You will receive a photo and information about one of the student-made characters to work from. You may submit 1-2 pieces in any medium of your choice. There is no size or media requirement! Turn in your finished piece at Make.Shift between 12pm and 5pm on Saturday April 27th. Please include your assignment packet. *Make.Shift's commission on sales from the gallery is 35%. Please consider this and WA state sales tax when pricing your artwork. All 2D pieces must meet our hanging requirements. See examples on our website. Make.Shift reserves the right to exclude any pieces that do not meet our specified requirements. Depending on the amount of response pieces we receive, the gallery committee may select the piece(s) we feel best meet the spirit of the original artwork.